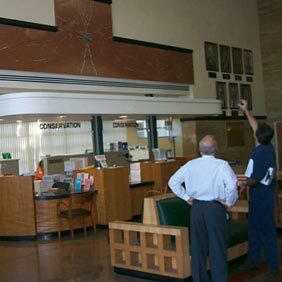 Completed in July, 1949, the City of Burbank Utility Administration Building is been in operation for over 65 years. 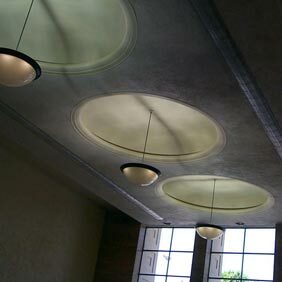 This landmark site was constructed of poured-in-place concrete with steel reinforcement. 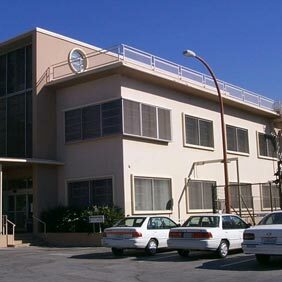 The building houses mostly office space except for the main lobby and auditorium. Aircon Energy received approval by the city to begin work on a comprehensive retrofit of the mechanical and control systems. Over time, the building experience additions and changes in use. 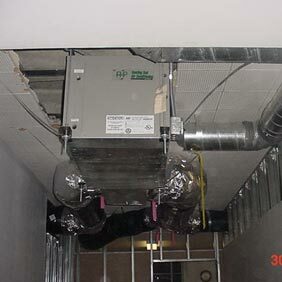 This coupled with aging equipment resulted in comfort issues throughout the building. The goals of the project was to restore comfort and modernize the heating and cooling systems with an energy efficient design. 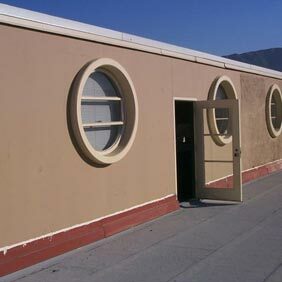 The project was part of an overall remodel of the building and not justified on energy savings alone. Aircon was selected on the basis of its expertise in the area of design-build-retrofit. 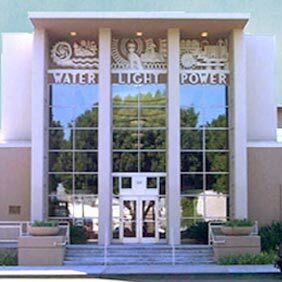 To meet the goals of the city, Aircon Energy installed 35 water-source high efficiency heat pumps. 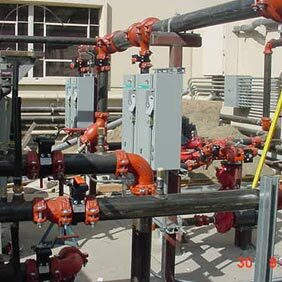 These pumps are installed in the ceilings of each zone or on the roof deck. 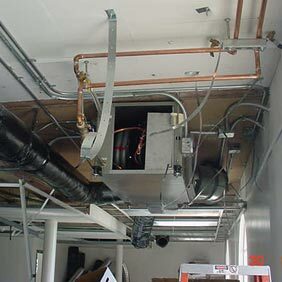 Uninsulated piping circulates tempered water throughout the building to each individual heat pump. 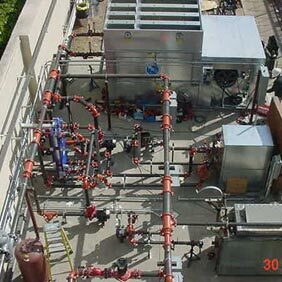 Because of the availability of tempered wastewater, a cooling tower was installed as a back up to reject the heat that is removed from the building. The removed heat is carried back to the waste treatment plant and eliminated. The new cooling tower is activated when the wastewater system does not supply enough heat rejection. Reversing the compression cycle, extracting heat from the wastewater and heating the building air provides heating for this system. For supplemental heat, a gas boiler was installed.